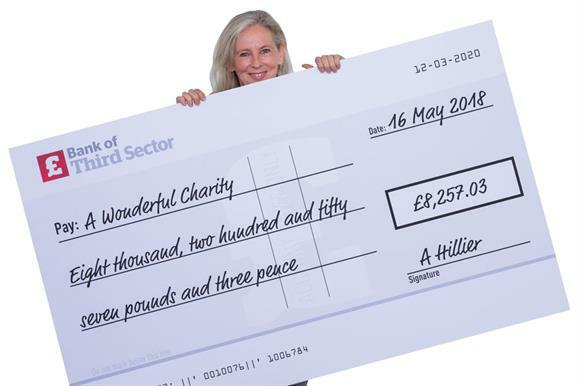 For many years, the giant novelty cheque, handed over with great fanfare to the chosen charity by a smiling company chief executive, has been the defining feature of the corporate partnership. In many ways, the big cheque summed up how these partnerships worked. The charities waited open-handed to receive the money and, in return, they posed, smiling for the cameras. Such partnerships have served charities well, but successful corporate partnerships are increasingly becoming less about the money and more about how the two sides can work together to bring about lasting change. Jeffrey Oatham (left), director of LBG, which helps about 180 companies to measure the contributions they make to society, says there’s been a very clear shift in how companies manage partnerships. Data gathered by LBG from its members last year showed that more than 70 per cent gave strategically and less than 20 per cent went in ad-hoc donations. The figure is a reverse from that of a decade ago, when more than 60 per cent of its members said they gave randomly and only 30 per cent gave strategically. "Companies now are definitely leaning far more towards long-term strategic partnerships," says Oatham, adding that he sees no reason why the trend for partnerships that go beyond just giving financial help to charities would end soon. "The world faces big problems such as climate change, the housing crisis and unemployment – the list goes on," says Oatham. "Those problems are so big that they won’t be solved by just throwing money at them. Business won’t be able to overcome these problems by investing purely for altruistic reasons." Dominic Cotton, founder of the corporate social responsibility consultancy Epiphany, says this change has also been driven by customers and employees, who want businesses to be seen to be doing the right thing. "Commercial organisations and brands are taking reputation and perception more seriously than ever," he says. "Research also shows that the majority of consumers – especially younger ones – will pay more for a product or service when it comes from a company that is actively seeking to solve social problems." Tesco’s latest partnership involves not one, but three major charities: Cancer Research UK, Diabetes UK and the British Heart Foundation. In January, the four pledged to work together over the next five years to encourage more people to eat more healthily. Tesco hopes to achieve this by promoting healthier choices in-store and on its website, and by allowing the charities to spread healthy lifestyle messages to customers. Data from Tesco’s Clubcard loyalty scheme will allow the partners to study the impact of their work and understand how to influence consumers to make long-term changes. It’s not just about influencing customers, though. The supermarket giant is the largest private sector employer in the UK and is developing a workplace health programme for staff that will enable the partner charities to support more than 300,000 employees and their families. The three charities will be paid an undisclosed fee for their contributions and will receive a share of the proceeds from staff fundraising and donations from Tesco, but the focus is on changing public behaviour. All three have worked with Tesco before. The supermarket has supported CRUK’s Race for Life events for 17 years and ran a three-year joint partnership with Diabetes UK and the BHF, which ended in December 2017. The new partnership came about after Dave Lewis, chief executive of Tesco, brought all four organisations together. At the launch event in London in January, Lewis said customers wanted and expected supermarkets to support them in making healthier choices. But he added that the focus was on helping consumers, rather than lecturing. Sir Harpal Kumar, chief executive of CRUK, says the partnership’s dual focus on fundraising and progressing the charities’ objectives is evidence of a more sophisticated approach to commercial relationships. As part of the deal, the four chief executives will sit down three or four times a year to discuss progress and raise concerns. They can also walk away should they want to. Tesco has taken a knock in recent years after bosses inflated profits. Chris Askew, chief executive of Diabetes UK, accepts that some might view the deal as "brandwashing", but he believes the charities are getting value from having a corporate partner that shares their ambition to make the nation healthier. Simon Gillespie, chief executive of the BHF, points out that all three charities have worked with Tesco before and they know what they’re getting into. "The biggest risk is that at the end of the five years you’re saying ‘so what?’," he says. Oatham says there are three key trends that charities seeking corporate partners need to be aware of. First, more businesses are investing in issues that are important to society, not just to their employees. "Instead of deciding on which charity to partner with by putting it to a staff vote – as they might have done historically – they will take into account where the business is operating and listen to its stakeholders to understand the issues that are relevant to those communities," he says. Second, businesses are choosing to invest in cause areas where there’s a clear fit with the company. "If a business looks at all the issues that exist in society in terms of where it operates, it will get a long list," says Oatham. "It therefore needs to refine that list." Applying a "materiality" test to determine which issues are of most relevance to the business is becoming more commonplace, he says. Third, companies are looking to use a range of their assets to make a social difference. "It’s not just about the cash that they can raise," says Oatham. "It’s about businesses using their employees’ time, their products or leveraging their property space to support the relationships that they have." Fiona Cannon, group director for responsible business and inclusion at Lloyds Banking Group, says it has moved away from a traditional charity-of-the-year model, preferring partnerships that are closely aligned with its business objectives and its core purpose of helping Britain to prosper. "Charities that stand out are those that have put careful thought into how a partnership could ‘fit’ with our business and purpose," she says. receive help to improve their processes. The partnership has also led to the bank developing an e-learning initiative to raise awareness and understanding of mental health in the workplace. In addition, more than £5.5m has been raised for the charities involved over the past 18 months. Cannon says charities that are looking for partners should think about creating activities that deliver "significant social impact and have tangible, measureable outcomes that can be clearly attributable to the corporate’s support". Valerie Morton, a charity consultant and author of the book Corporate Fundraising and Partnerships, has been involved in corporate fundraising since the 1980s. She believes there has been a shift away from charities just seeking money as more of them realise they can achieve their aims by asking for company support in other ways. and makeovers to people with cancer. "It’s driven by helping to provide support, although Boots is also providing money," says Morton. "The difference now compared with the old days is that the objectives were pretty much about the cash and you’d get a nice pat on the back if you did something else. The key thing is how charities are recognising the very broad things that can be achieved on issues such as raising the profile and awareness of the charity or recruiting supporters." 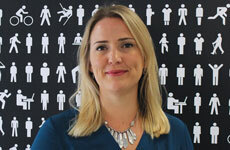 But Morton says she believes that senior managers in charities need to give their corporate partnership teams more of a licence to develop broad partnerships that go beyond fundraising. Prostate Cancer UK has a wide range of partnerships with companies including the builders merchant Keyline and Burton Menswear. It also has partnerships that "sit outside the realms of the traditional partnership model", according to Tamarin Fitzpatrick, the charity’s head of corporate partnerships. These include arrangements with the English Football League and the League Managers Association that give the charity access to professional football clubs and the inclusion of the charity’s Man of Men logo on every player’s shirt in the EFL. Fitzpatrick (below) says such partnerships bring tremendous value to charities in terms of marketing, but she adds: "I think some charities can be shy about creating those partnerships because the immediate value is far harder to determine." One of the biggest changes Fitzpatrick has seen in recent years is that companies expect a lot more from their charities. "They recognise the value that we can bring in terms of staff morale or learning and development," she says. In particular, they expect more in terms of marketing, design and PR from charities, she says. Impact has become another watchword in recent years. Rather than just focusing on how much businesses gave or how many people they reached, companies want to know what their investment has actually managed to achieve, says Oatham. "Previously, you might have just counted the number of people helped or the hours volunteered by staff," he says. "Now businesses are looking at how many kids have actually learned to read." But Oatham says impact measurement can throw up challenges for potential charity partners. "It can require a step change in what the charities have been doing, as well as additional investment," says Oatham. "Businesses needs to consider how they help to support that capacity-building." beneficial to the success of partnerships. "It has made charities work harder and ensure we’re not taking money from organisations that don’t meet our strategic needs," she says. "It means we’re now having to create programmes where we have accountability too. In our case, that means showing we have an impact directly on the men we’re working with." But what about smaller charities, which can often struggle for support from bigger companies? Cotton worked for youth charities including UK Youth and Step Up To Serve before setting up his consultancy, and concedes it can be a challenge to attract corporate partners if you’re not well known. But it can be done, he insists. For example, when in the youth sector, he used to talk about the potential impact on young people of a partnership. "There were a lot of doors to knock on because everyone needs to be seen to care about what happens to future generations," he says. Smaller charities can also be more innovative and should think about creative ways of using digital technology to attract potential partners. "I think that anything a charity can do to make their work feel current has to be good," says Cotton. 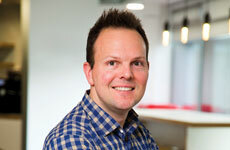 "If you can do something that contemporises the offer, it will really help." More broadly, Oatham says that both charities and companies need to think about the long-term impact of the work they do together. "I’m not a fan of the photograph of the business executive with smiling kids holding iPads – it’s the modern-day big-cheque picture," he says. "All that you’ve done, essentially, is to hand over money. I want to see the change you enabled by providing those iPads. I want to see performance targets and data that shows an improvement in grades. "But that’s not as easy as handing over an iPad." About 100,000 of Royal Mail’s 140,000 employees participated in the company’s latest charity partnership vote in 2017. "As far as I’m aware, that’s the biggest corporate vote for a charity partner in the world," says Gary Grange, senior community investment manager at Royal Mail. Charity partnerships, says Grange, have evolved towards seeking more strategic alliances. He spent several months researching how Royal Mail could work with potential partners before the staff vote. 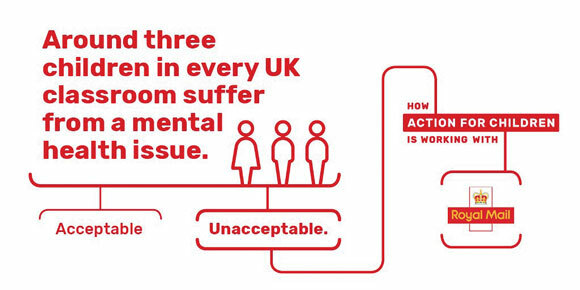 He decided to focus on mental health, one of the leading causes of illness among staff, and invited 20 charities to submit expressions of interest. "We don’t have open applications because I already get 10 letters a day from charities asking about partnerships," he says. Grange reduced the field to eight before he, a colleague and union representatives chose a final three. Royal Mail then spent two months telling staff how it could help each one. "This took away the element of people voting for the charity with which they were most familiar," says Grange. Staff selected Action for Children and set out to raise £2m for a project that will enable the charity to employ specialist mental health youth workers to support 8,000 young people. It is hoped half the sum will come from staff fundraising at Royal Mail’s 1,500 sites and half from company match funding. "The length of partnerships can vary, but mental health is such a big issue that we decided this one would last three years," says Grange. Runners-up Mind and Mental Health UK received £50,000 each for their mental health programmes. All three charities will also receive awareness-raising help, pro-bono support and work placements for people with mental health problems. Royal Mail partners sign contracts committing them to reporting standards and impact data. Cash, says Grange, remains important, but "we expect to do a lot more than fundraise". He adds: "We look at it in terms of strategic aims. We are a FTSE 100 company, and investors demand we have good corporate responsibility." He says partnerships have changed a lot recently: "Gone are the days when companies will just give money to a charity and say ‘do some good with it’. "Even five years ago these partnerships were 95 per cent focused on fundraising. Now it’s 50 per cent fundraising and 50 per cent other elements." Choosing a charity partner is tricky when you’re a British multinational company with more than 30,000 staff in 180 countries. The RELX Group, whose brands include Elsevier, LexisNexis and Reed Exhibitions, combines centrally agreed principles with local, employee-led initiatives when deciding who to support. It operates a global community programme called RE Cares, which supports employee volunteering and giving. The core focus is educational projects for disadvantaged young people. RELX provides information and analytics to ensure the company’s community work aligns with its corporate mission. Rather than choosing a single global partner, RELX supports dozens of charities around the world. Staff in local offices nominate potential partners and the decision on which ones to support are made by a global network of 220 RE Cares champions. RELX has two funding rounds each year. In 2017 it gave $370,000 to 34 charity partners, but the relationships are increasingly about more than cash. Staff receive up to two days of paid leave each year to do community work. Forty-five per cent of staff take this up. 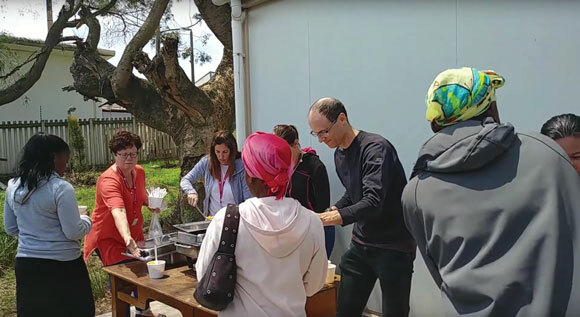 Emili Budell-Rhodes, community manager at RELX, says the charity-corporate alignment means staff have highly relevant skills for partners, which provides longer-lasting benefits than one-off cash donations. She says: "We have skills and expertise to offer, and we consider where we can have the greatest positive long-term impact. We are not looking for a quick fix." Charity partners also get in-kind support, such as free legal advice. In 2017 RELX donated more than $40,000 of IT equipment to Camara Education, which helps young people through technology. Many partnerships are not time-bound: since 2004 RELX has given 1.5 million books to Book Aid International, which the charity uses to improve literacy in Africa. Budell-Rhodes says long-term partnerships based less on cash are becoming more common. She says: "The focus of the conversation has moved away from funding alone to something more long-term and holistic."